As is evident from the photos, this boat has been well loved and well cared for by her owners. According to the seller, everything is in good working condition and ready to go! Trailer is in good condition! Stock #150596 Excellent Corsair F-27 trimaran, set up for extended overnight cruising! 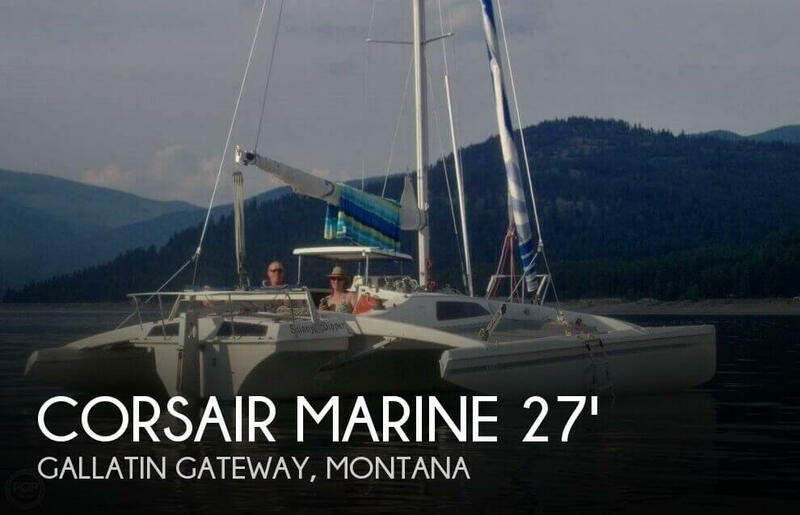 If you are in the market for a trimaran, look no further than this 1993 Corsair Marine F-27 Trimaran, just reduced to $37,000 (offers encouraged). This sailboat is located in Gallatin Gateway, Montana and is in great condition. She is also equipped with a Yamaha engine that has only 50 hours. The 2018 Aloha is in 'like new" condition. Everything works as it should according to the seller This is basically a brand new tri-toon with upper deck and slide. The B&M trailer is ready to go and take you to your favorite lake. Don't miss out on this one. Stock #171304 Excellent Aloha Pontoons TROPICAL SERIES 260 double-deck with slide! If you are in the market for a tritoon boat, look no further than this 2018 Aloha Pontoon 260 Upper Sundeck, priced right at $83,000 (offers encouraged). 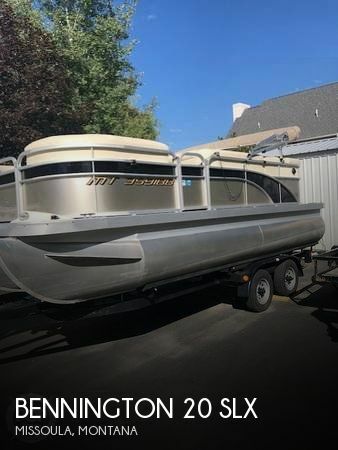 This boat is located in Polson, Montana and is in great condition. She is also equipped with a Yamaha engine that has only 20 hours. Reason for selling is buying new one. 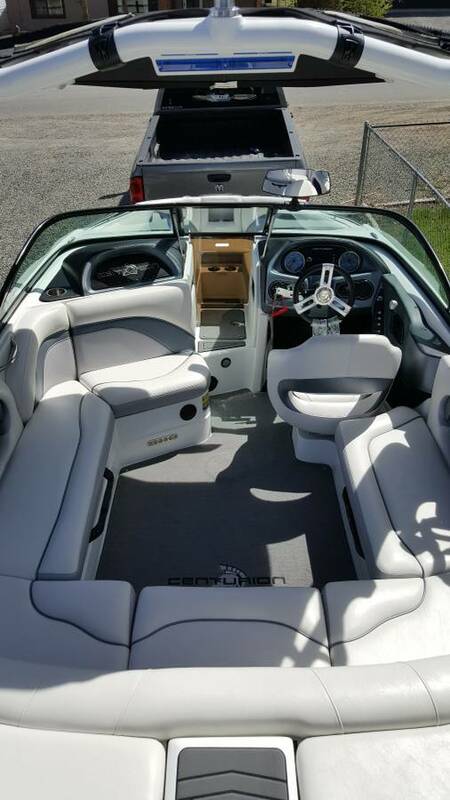 Seller states that boat is mint and all systems, electronics, mechanics work great and cosmetically excellent! It's been stored in a heated shop when it's not in the water. A sweet unit that will not last long! Please make an inquiry or call for more information, to set a showing or make an offer! Stock #144477 Excellent condition RZ2 with custom wrap! Loaded with all the amenities and more! Ready to hit the water! 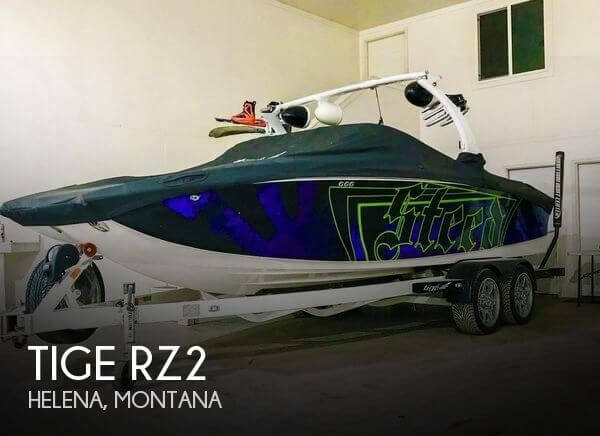 If you are in the market for a ski/wakeboard boat, look no further than this 2014 Tige RZ2, just reduced to $79,500 (offers encouraged). 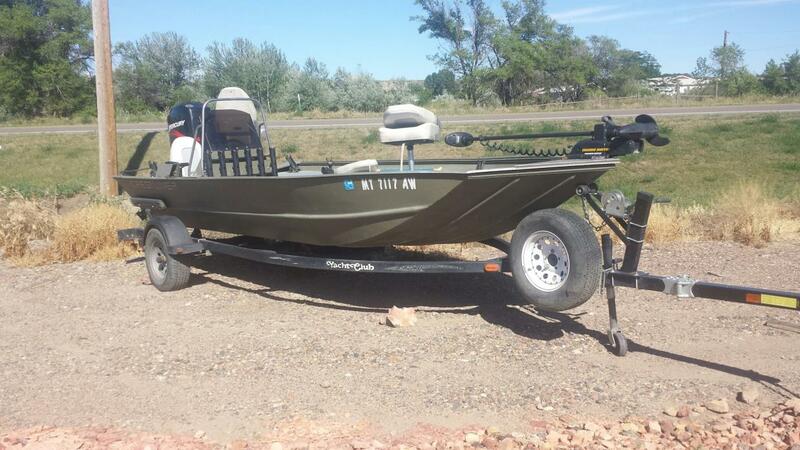 This boat is located in Helena, Montana and is in great condition. She is also equipped with a Indmar engine that has 572 hours. Reason for selling is changes in lifestyle. Everything is crisp and clean with normal wear for a boat of this age, according to the owner. And she comes with everything needed to really get out there and have fun! Owner says that his boat runs excellent. 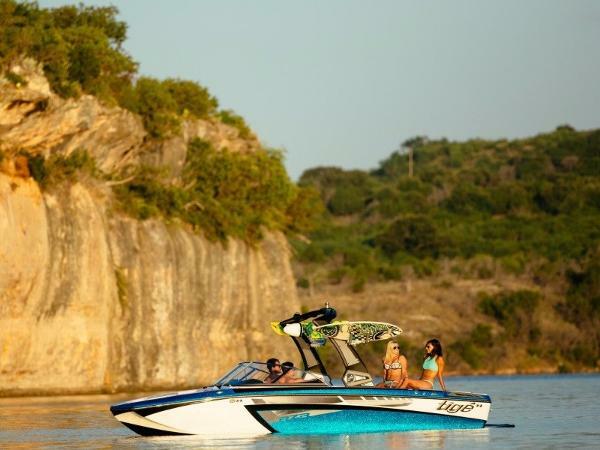 And it has great towing power and is a very versatile boat for skiing, wake boarding, surfing and tubing. Seats show some signs of weathering and two cracks on engine cowl where previous owner rested speakers on engine cover. Stock #086538 Includes great sound system! Awesome Boat with low hours! 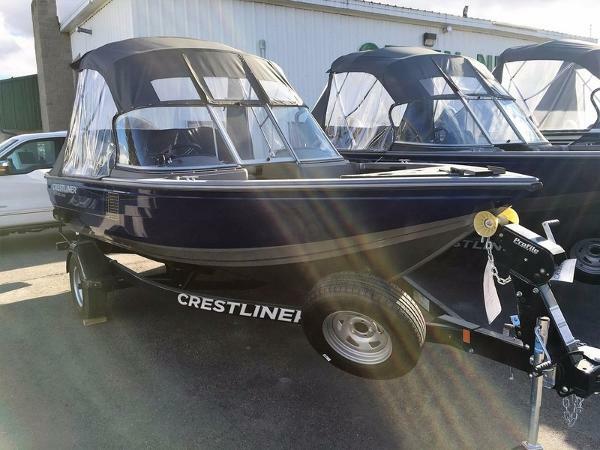 If you are in the market for a ski/wakeboard boat, look no further than this 2006 Centurion T5, priced right at $26,500 (offers encouraged). 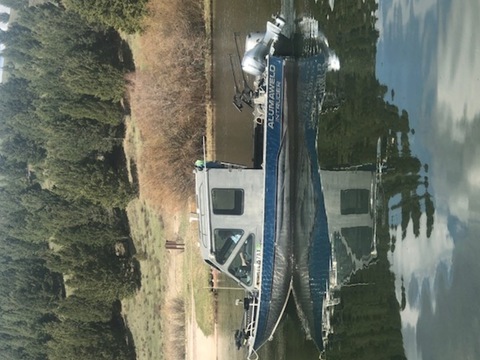 This boat is located in Big Sandy, Montana and is in great condition. She is also equipped with a Mercruiser engine that has 300 hours. Reason for selling is ready to sell!. According to the seller, this 2014 Bennington tritoon is in very good condition. It has had excellent care and has never spent a night uncovered. Just look over the pictures. You will be hard pressed to find another one in this condition. Stock #162859 Very Nice Tritoon!! 115 HP Mercury 4-Stroke!! Huge Bimini!! Full Custom Cover!! BBQ!! If you are in the market for a tritoon boat, look no further than this 2014 Bennington 20 SLX, priced right at $31,200 (offers encouraged). 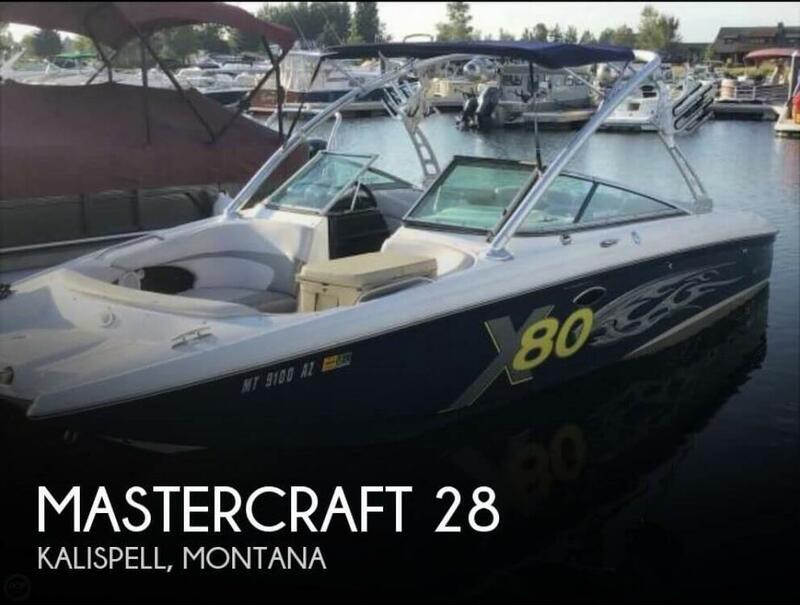 This boat is located in Missoula, Montana and is in great condition. She is also equipped with a Mercury engine that has only 175 hours. Reason for selling is just not able to use enough to justify keeping. Maintenance records are available! Couple dings in gelcoat on the left rear. About nickel size. Runs great, low hours, wakeboard boat. Seller states that all systems work just as expected! Sweet unit that will not last long! 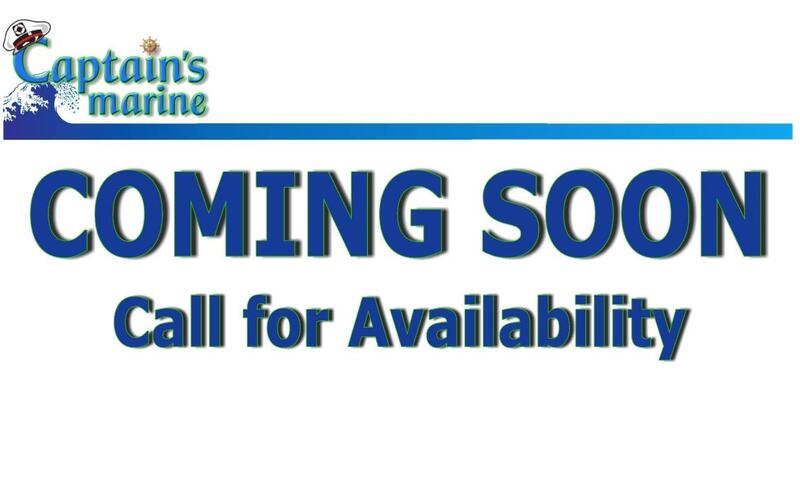 Please make an inquiry or call for more information, to set a showing or make an offer! Stock #135755 Great wakeboard/surf boat. Runs great. Everything works like it should! Heater, shower, tower with speakers, 3 ballasts, snap on cover AND LOTS MORE!! 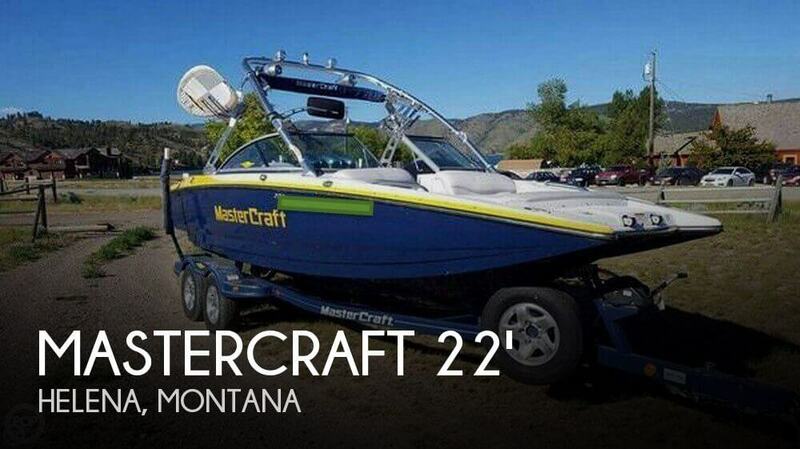 If you are in the market for a ski/wakeboard boat, look no further than this 2006 Mastercraft 22 X-Star, just reduced to $41,950 (offers encouraged). 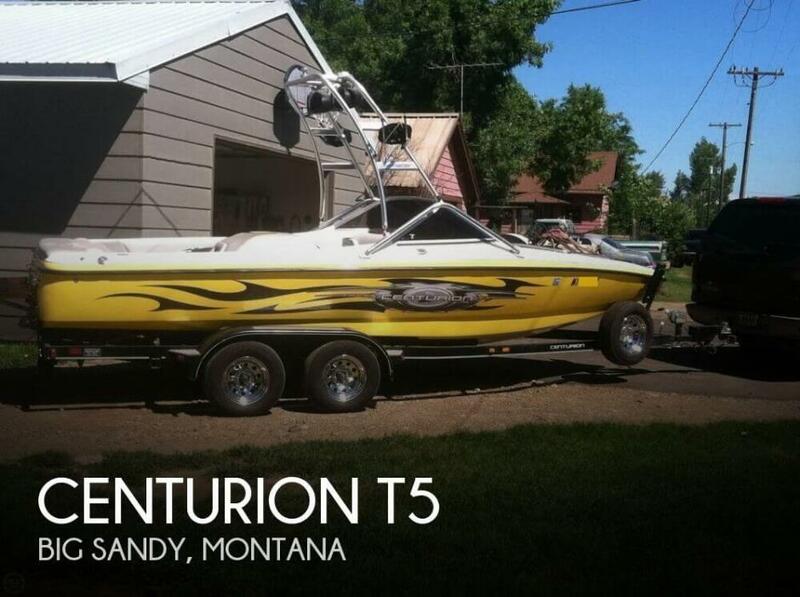 This boat is located in Helena, Montana and is in great condition. She is also equipped with a Indmar engine that has 442 hours. Reason for selling is kids are gone. 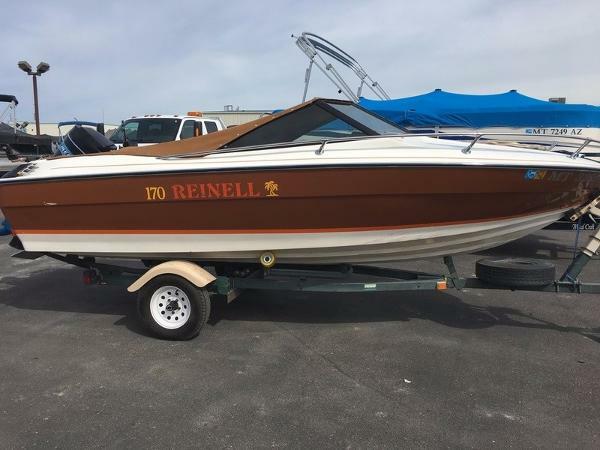 don't use it anymore..
1977 Renall V170 1977 RENALL RENELL V17 Fish finder, electric down rigger, restored interior very nice boat. 2015 Centurion Ss210 Enzo 2015 Centurion SS210 Enzo. 3500 pounds of ballast to make awesome waves! Blue led accent lighting through out interior. Built in cooler. Pmc 343 engine. Immaculately maintained. Always pulled from the water after each use and garaged. Fantastic boat!! Still under warranty. best surf boat for the price!